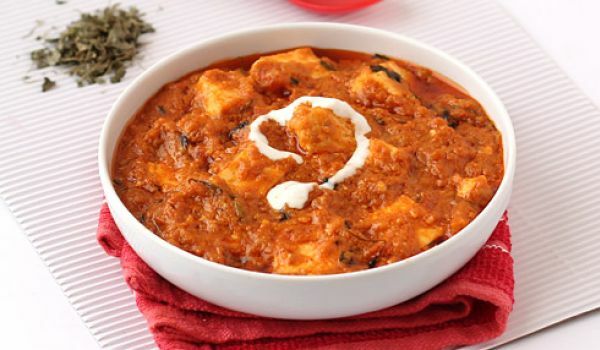 Our Diwali Recipes section contains a variety of traditional Diwali recipes. Dipawali is the most significant Hindu festival. 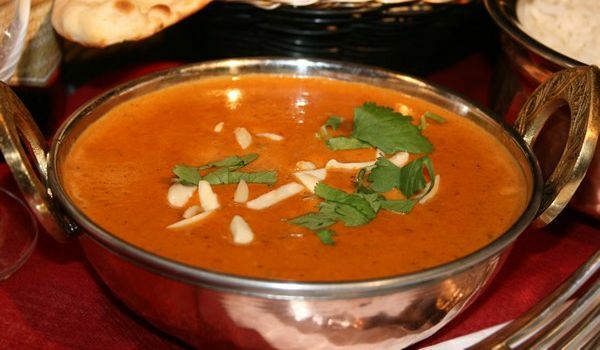 Celebrate Diwali along with some delicious food. 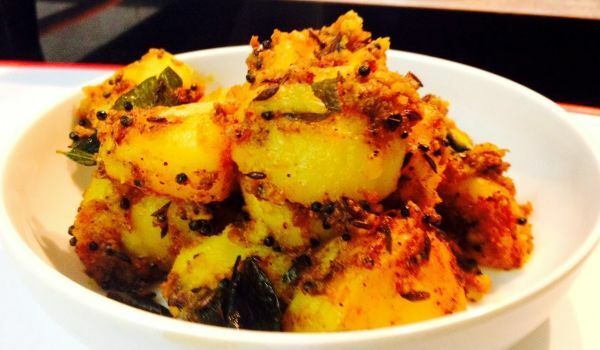 Try our easy Diwali recipes. 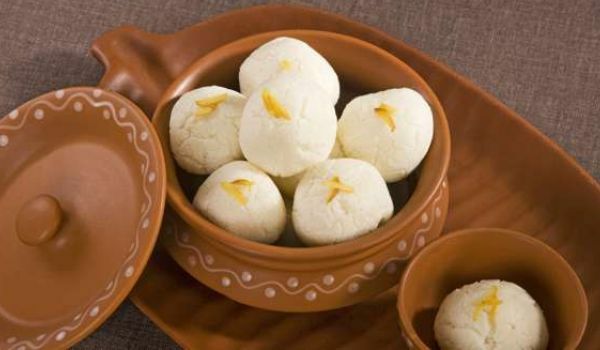 No Bengali festival or celebration is complete without Rasgulla. 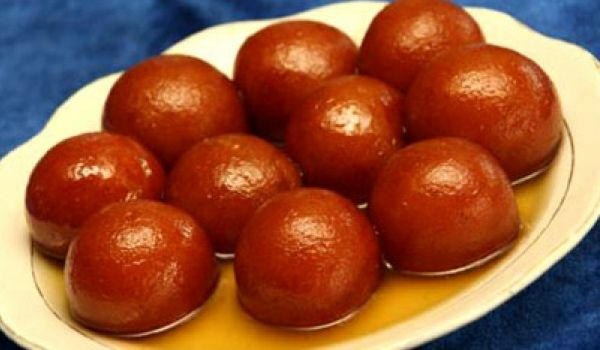 Most of the time this mouthful of sweetness marks the beginning as well as the end of any occasion. 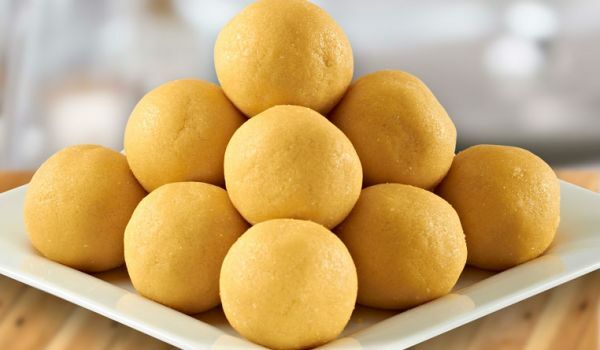 Some even term it as the full-stop to a meal as it is customary to serve Rasgulla at the end of all the grandeur of food. Feel like savoring something deliciously sweet? 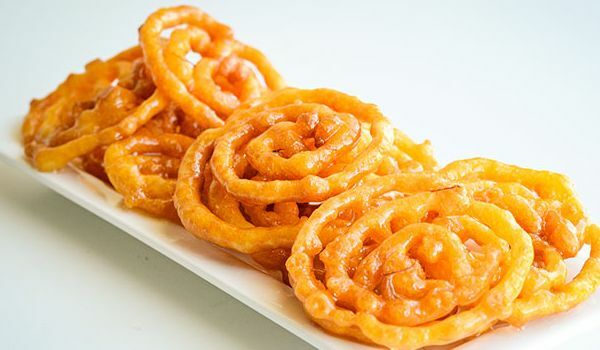 Try making the jalebi. 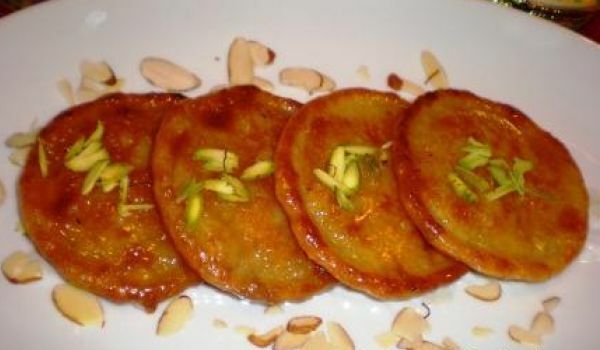 With ingredients that are readily available at the local grocery store, you can easily rustle up India's favorite sweet dish. These diamond shaped pieces, decorated by silver foils isn't just interesting to look at but are also irresistible. 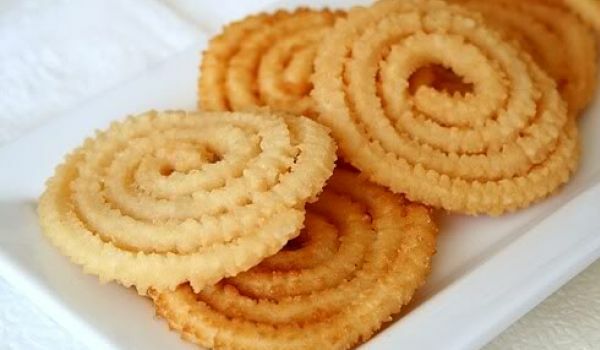 Rich in cashew nuts, these sweets are in great demand during special occasions such as Diwali. 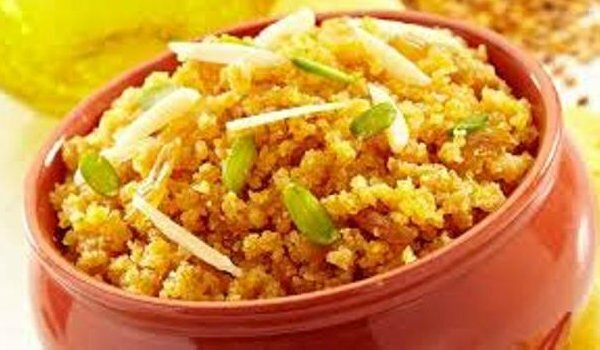 A typical sight during festival seasons, the richness of the ladoo matches the vibrance of any festival to the fullest. A mouth full of sweetness with every bite, no festival is complete without one gorging on these delights. 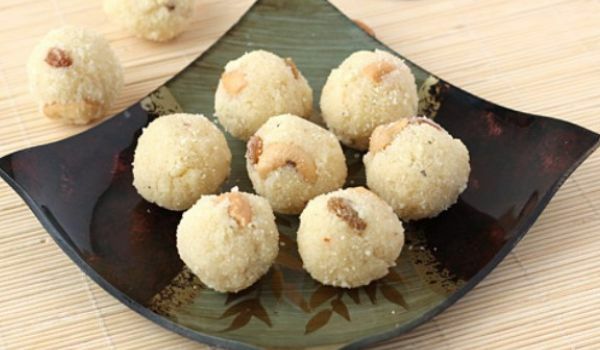 Rava ladoo is a delicacy prepared with rava and is quite popular during the festive seasons. 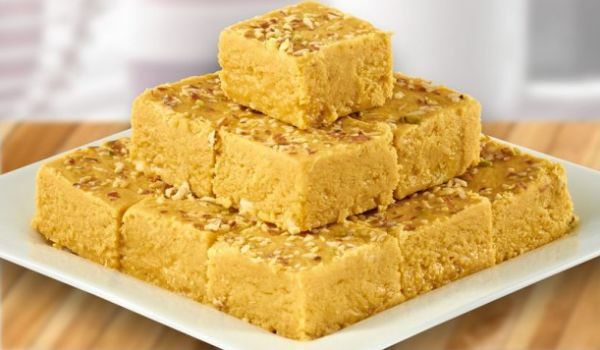 The soft ladoo with lots of dry fruit makes it a perfect choice for a light dessert. 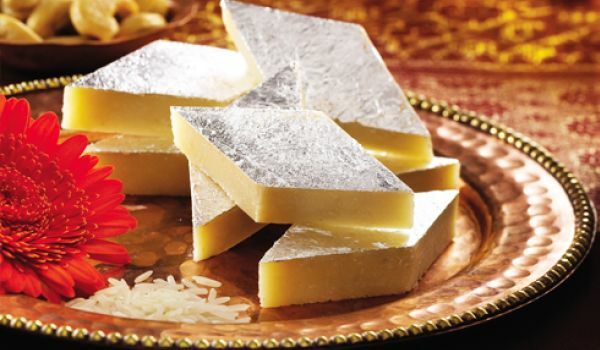 No matter you have a sweet tooth or not, you cannot say no to coconut burfi. 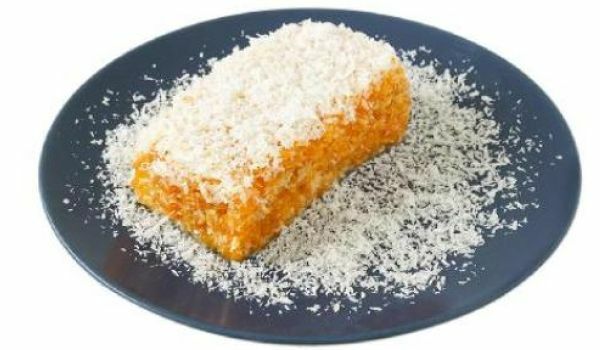 Shredded coconut gives that crunchiness to the burfi while milk provides it with the smoothness. 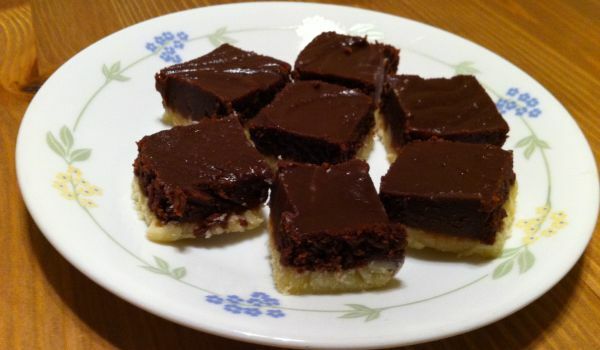 Any day, any occasion, this sweet will undoubtedly rank among the top desserts. 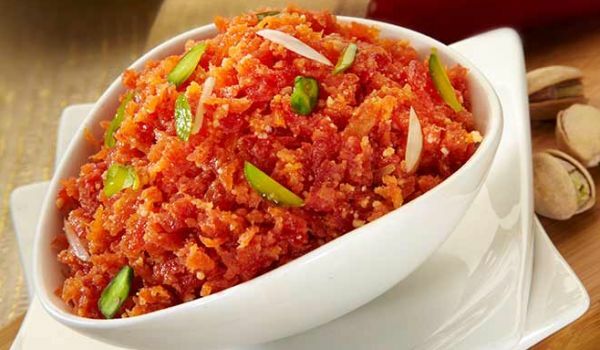 Moong Dal Halwa is a typical delicacy that is made in all North-Indian households during festivals. 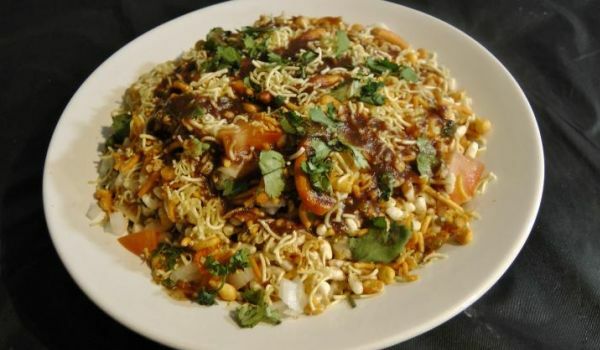 It is rich with tons of dry fruits which is the USP of the dish! 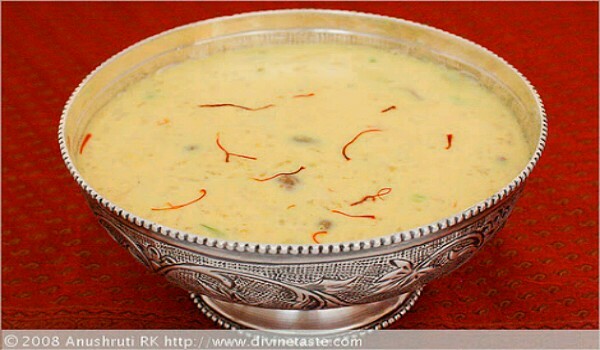 The absence of rice Kheer at any Indian wedding reception would result in the presence of numerous dumbfounded expressions. 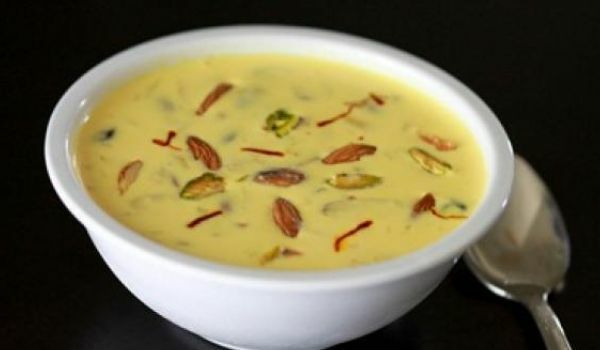 Custom made to suit the delight of that special day, this kheer holds basmati rice as its main ingredient and only made grand by the garnish of saffron and raisins that surfaces the pleasurable amalgamation of ghee, milk and sugar. Almond is a store house of healthy elements and when it comes to taste, this kernel establishes itself as one of the most liked nuts. 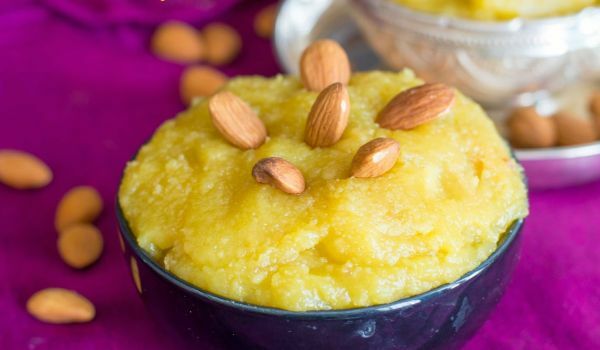 Badam halwa has almond as its key ingredient, and the addition of ghee and saffron is enough to tickle the nose. 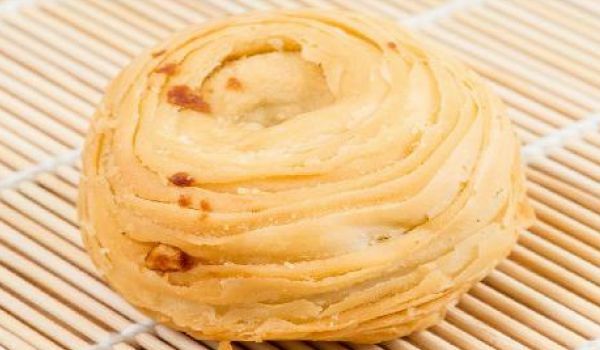 This makes for a great dessert during festive seasons especially Diwali, Mahashivaratri and Durga Puja. 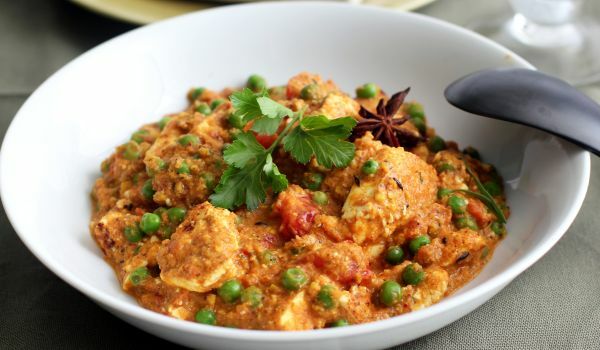 Soyabean is undoubtedly one of the best vegetarian equivalents to chicken, since both are rich in protein and the legume's striking resemblance to the non-vegetarian delicacy. 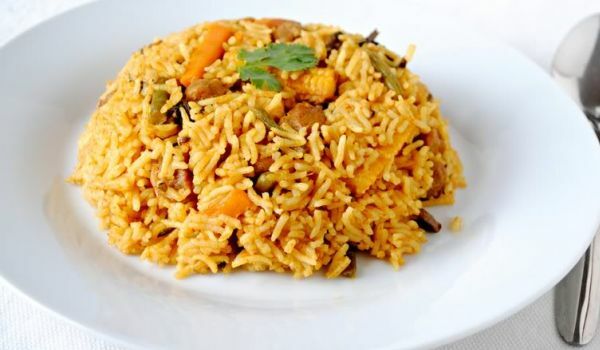 This mouth-watering dish is not just a treat to the taste buds but is also recommended by many dieticians for its high nutritional value. A celebratory drink, the off-white creamy texture of the drink garnished with almonds is one welcome drink that will match the divinity of every day. 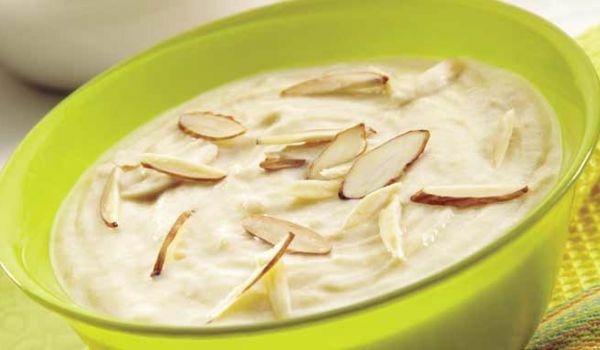 A must on the drinks menu for every special occasion or on a sultry day, badam kheer soothes with every gulp and the sensation only gets better as the glass is tilted higher. 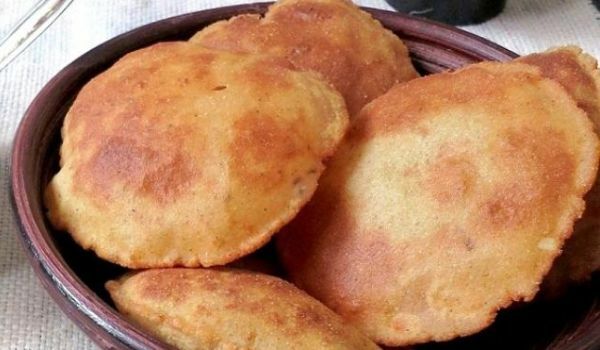 Yet another sweet that gives us another reason for people to look forward to festivals is Khaja. Layered after the mixture of flour and ghee, the sweet is then lightly fried to give it that perfect delicious crunch.